A combination of 20-year experience in an electronic security systems industry with an advanced manufacturing technology enabled to design and put into mass production a number of devices which have a lot more features than products in their class available in the market so far. Full compatibility with the requirements of EN54 standards enables to use of SATEL devices in any case when required by specified regulations. The CSP fire alarm system is state-of-the-art conventional equipment to be installed in in smaller facilities requiring a dedicated fire alarm system, e.g. 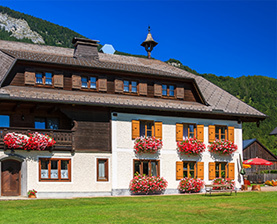 in small hotels, guest houses, kindergartens, schools, libraries, livestock facilities, museums, bank branches, archives or manufacturing-warehousing halls. 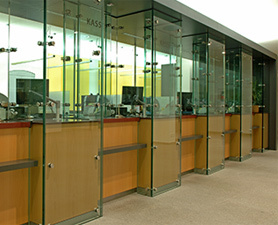 The CSP system is also an ideal solution for securing single rooms, i.e. locker rooms, server rooms or storerooms. 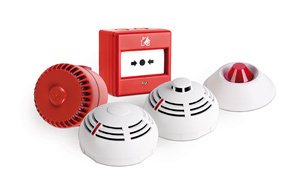 The broad range of available devices, from manual call points adapted for internal and external installation to automatic smoke detectors, heat detectors and multi-sensor detectors, allows to customise a security level to given facility's needs. 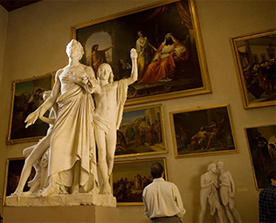 The possibility of connecting several fire hazard alarm devices enables the CSP system to ensure an effective fire alarm functionality. Outputs to fire and damage information systems systems constitute another advantage of this solution. Connecting the CSP to specialist fire monitoring systems makes it possible to call rescue and fire fighting services automatically. Conventional systems such as the CSP are an excellent choice for smaller installations due to lower commissioning and maintenance costs, simpler operation and servicing. It must be noted that, in the case of smaller installations where a fire source is usually more easily detected, effectiveness of a conventional system will be the same as offered by more extended addressable solutions. You must also remember that each fire alarm system requires periodical testing of its components in order to ensure its effectiveness when necessary. CSP-200 and CSP-100 fire alarm panels are intended for implementation of complex fire alarm signalling systems in small and medium buildings. CSP 100 range of panels offer all the most important functions required for certified fire signalling systems, ensuring easy installation and maintenance. The 200 series is additionally fitted with readable LCD display, thanks to which not only programming and periodical maintenance, but also everyday operation are considerably easier. The 200 series panels offer the most advanced features amongst conventional fire signalling systems. 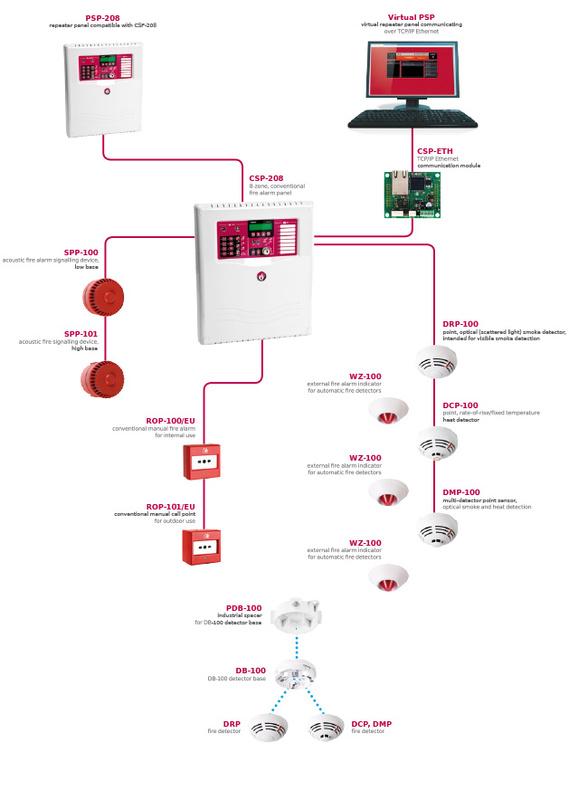 SATEL’s product range of fire alarm signalling devices is truly complex. 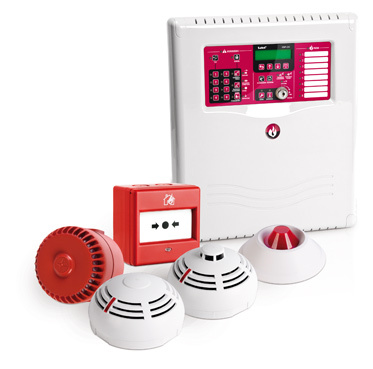 Therefore, besides the panels and associated devices, the range of products includes automatic fire detectors (smoke, heat, multi-sensor), manual call points and signalling devices. The offer is supplemented by auxiliary accessories, such as local fire alarm indicator or industrial base for automatic detectors, which makes installation of the detectors with the use of conduit pipes easier. CSP fire alarm control panels were designed in order to make designers’ and the system installers’ work easier. Aesthetic control panel allows installing the switchboard even in a place where it will be exposed without a fear of disturbance of the inside design harmony. An interesting option might be to use the remote repeaters that allow for full system operation, for instance in the security centre of the building, remote from the physical control panel location. An additional asset of CSP switchboards is a virtual panel, which allows to check remotely the fire signalling alarm system state from any place in the world with use of INTERNET network. Besides this, CSP control panels implement correlation of A and B zones in accordance with a standard, which reduce the chances false alarms, even when installed in harsh environment. Moreover, enhanced configurability of programmable inputs and outputs allows for cooperation of CSP system with other security systems in a building – I&HAS, access control or fire fighting devices. All the CSP series control panels were initially configured in order to minimize necessary system programming. A manufacturer’s setup allows to gain a working system which requires only connecting of the devices to appropriate panel inputs and outputs. In case of need for changes to this setup, the system can be programmed with use of both the panel buttons as well as a special PC software. Thanks to a possibility of programming functions of additional inputs and relay outputs, CSP 100 and 200 series control panels allow to perform additional actions going beyond local signalling of fire detection. For instance, cooperation with access control system or public address systems is possible. CSP alarm control panels are characterized by numerous well thought out solutions, thanks to which a periodical inspection and the maintenance is comfortable and intuitive. For example, access to a service mode is protected by a password which is entered with use of the switchboard operation buttons. Thanks to this, there is no need for opening the panel enclosure in order to change the control panel configuration. Moreover, the detectors test function one person tests easier, thus minimizing the number of people necessary to efficient verification of the system performance. Additionally, the use of a single standard 12 V battery accelerates the diagnostic tests and reduces cost of its replacement, which is beneficial for reduction of general system maintenance cost. Great help are also advanced tools which allow to evaluate individual functional system blocks, thanks to which identification of potential faults is easy and quick. It is also worth to mention a enhanced event memory with a possibility of exporting data to popular formats (e.g. CSV), which make archiving the register of the whole system functioning easier.